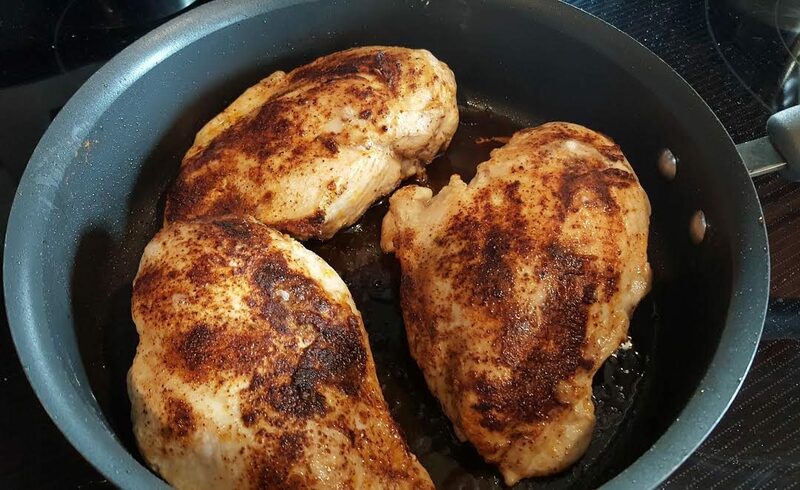 Season both sides of the chicken breast, place in hot oil. Turn temperature down to medium and cook 3-4 minutes on each side, flip one last time before next step. Transfer to the oven and cook for approximately 10 minutes, or until juices run clear. May take longer if the chicken is thicker. Slice and serve or add to our favorite soups, stews, wraps, salads, pizzas, etc… Enjoy!